(Montana Free Press) A disciplinary complaint against former lawmaker Art Wittich has been dismissed. The Office of Disciplinary Counsel brought charges of professional misconduct against the Bozeman-based attorney in October 2017, stemming from Wittich’s 2010 primary election campaign for Senate District 35. In a high-profile 2016 case, the Montana Commissioner of Political Practices sued Wittich, alleging he illegally coordinated with dark money political groups during the primary race and failed to report contributions. 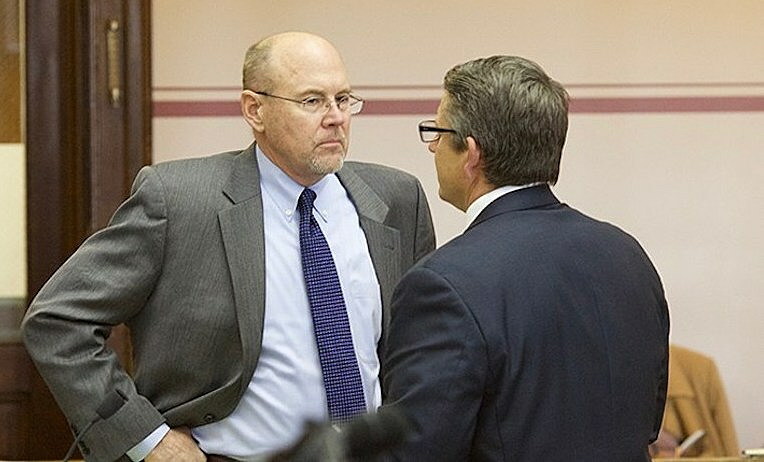 A district court jury confirmed Wittich violated campaign finance and reporting laws. The Montana Supreme Court upheld the jury’s decision in 2017. Wittich ultimately paid a $68,232 fine. In the October 2017 complaint, Montana Chief Disciplinary Counsel Michael Cotter claimed Wittich’s 2010 campaign violations also trampled over laws governing the ethics and professional conduct of licensed lawyers in the state. Wittich has practiced law in Montana since 1985. A formal hearing on the alleged misconduct was scheduled for an unspecified date in January. The hearing could have resulted in Wittich’s disbarment or other disciplinary action. However, on Nov. 30, Cotter filed a motion to have the matter dismissed without prejudice. The Montana Commission on Practice, which oversees such complaints, ordered dismissal the same day. Cotter’s office could not comment on why they dropped the disciplinary complaint. Wittich referred Montana Free Press to his attorney, Mark D. Parker, for comment on the dismissal. Parker filed a request to dismiss the case in November 2017, citing 10 other cases of Montana attorneys and law firms that violated campaign finance rules, but faced no subsequent disciplinary actions. Parker also claimed the complaint violated a six-year statute of limitations, that Wittich’s campaign activity was free expression protected by the Montana and U.S. constitutions, and that Montana campaign finance laws don’t extend to professional discipline.